As an entrepreneur, your existence revolves around the people you intend to serve. So when you start a new business, can you name the wisest first step? Should you build a product or service? Hire staff? Buy stock? No. First step: you talk to potential customers. To see if the pain you intend to cure runs deep enough. Period. The problem? Most entrepreneurs fail at this. They spread themselves thin, send a hundred cold emails, hoping to get feedback on something they built in a cave for 6 months -- and for what? Meager responses, shallow insights, vague feedback. The good news? Right now, you have the power to connect with potential customers better than ever before. You just need to learn how to build relationships, focus your conversations and see through noise. Look -- you're early days. You must aim to listen, learn and analyze. Not to sell. Take a big step back from all your 'stuff': your ideas, your early products, even your worldview...and start from scratch. Say you run into a loud, fast-talking salesman who won't listen to a word you say. You instantly distrust him -- but why? Because he cares not about how to deliver value to you. Just gunning for one more quick sale. Same thing with your potential customers. If you show up just trying to sell your stuff, they'll think you don't care about them and their problems; you just want to make money. Time to avoid all that. Show respect by listening intently, always. Keep the discussion about them. Before you know it, you build up trust this way. And then? How do you keep the conversation going? You ask the right question, in the right way, at the right time. Always aim for open-ended questions. Why? Say you ask your customers whether or not they liked a mockup of your new taxi-finding app. They might say yes, just to be polite -- or they say no, and leave you blank. No idea where to go next. Tough call. Compare with an open-ended question: what has been your experience using taxis in your city? Way better. Given enough trust and rapport, they're bound to tell you all about the sky-high prices, the unfriendly drivers, or why Uber doesn't work for them. Lots of directions you can potentially take your business into. Best part? You discover all kinds of new problems your potential customer wrestles with. Unknown unknowns: problems you couldn't have imagined before. But when do enough of this, you run the risk of diluting your focus. Nothing kills entrepreneurs more than lack of focus. Lucky for you, easy to solve this. 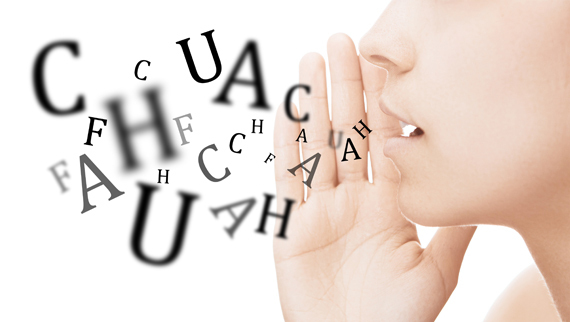 Perform a simple noise-reduction exercise on each conversation. Even with stacks of emails and phone calls, you can still feel like you've learned nothing. The problem? Noise. One customer says they struggle with lead generation, another says hiring stands in the way of everything, others say product development is too slow. How do you know where to go when every arrow points in a different direction? Your solution: simplify...like crazy. After each conversation, ask yourself just one question: what's top of mind for this person? What keeps them up at night in a cold sweat about the problem they experience? Imagine you have a terrible, splitting toothache -- and then someone comes along to sell you home insurance. Guess what? You'd disconnect and look for a killer solution for your toothache. Because in this situation, nothing matters more to you. Top of mind. Apply the same to your customer. Before you even talk to them, they have a conversation of their own running in their minds. With the right open-ended question, they'll tell you what's top of mind for them. Every time you learn that, record it in a spreadsheet. Done right, this takes the noise out of conversations. Instead of entire discussions, you see only the parts that matter. Before long, you start to spot patterns, and suddenly most of those arrows point in just one direction. Now -- let's put it all together. 1) Find a blog post of theirs that you genuinely like. Read it thoroughly. 2) Write a short and insightful comment. 3) Share the post on social media. On Twitter, @mention them. 4) Then reach out, and tell them why you love that post they wrote. 5) And then, you say you love the work they do as a blogger, and you wonder: what's the hardest part of blogging? What keeps them up at night in a cold sweat? 6) Whenever you get a response, summarize it in a few words and record it in a spreadsheet, so you can spot those patterns. Say 8 out of 10 bloggers tell you they want more traffic. Great -- now you know how to get their attention. You can focus all your messaging to address only this. See the method? You build trust, ask open-ended question about their problems, and then do some noise reduction. An entrepreneur I once coached did exactly the above -- and went from almost zero responses to plenty. Where do you go from here? You find more potential customers and drill down on what you've learned. Ask those bloggers why they want to earn more traffic. To earn revenue, to build a following, to rack up credibility, or something else? The deeper you dig, the better you understand your customer -- and so the better you can profitably serve them. Entrepreneurs who reach out and just ask for feedback on their initial product get maybe a few polite responses. But with the above approach, what do you get? Genuine customer relationships. Valuable conversations on their deepest problems. Clarity on where to go next. A far better start to your business. Think of it: the answers you need to build your dream business lie in the heads of your potential customers. Just sitting there. Your chance to get them out. Easier than ever before. Hi, I'm Harry, a fellow entrepreneur. Keen to help you get organized, so you can know your customer and earn more revenue. Let's connect.